Hollywood Gorilla Men: Hairy Horrorthon Halloween Countdown! 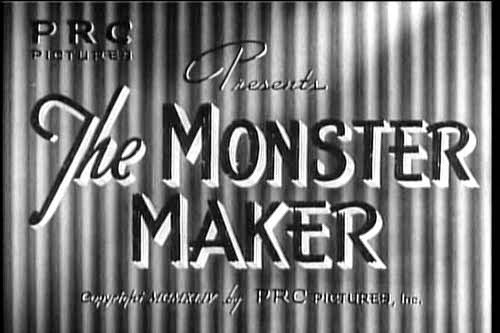 #12...The Monster Maker ! Hairy Horrorthon Halloween Countdown! #12...The Monster Maker ! The beauty of lists like these is the reminder that you have some fabulously freaky films buried in that closet full of DVD's. 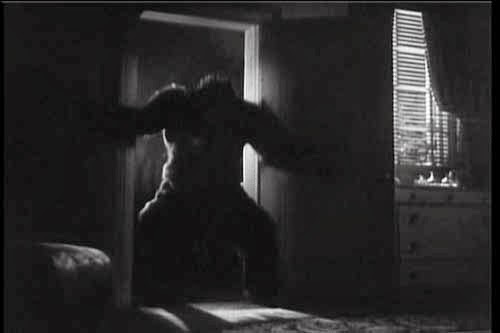 For my initial entry on the lucky 13 countdown, I selected a film where our hairy menace is not the focus of the flick but manages to have a striking sequence in the pic. 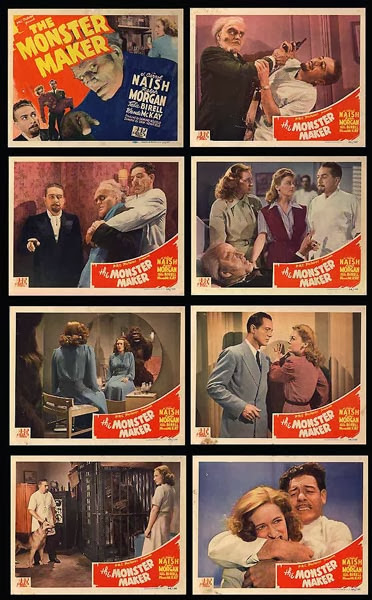 THE MONSTER MAKER (1944) was a cheapie PRC release directed by Sam Newfield who directed WHITE PONGO the following year (also featuring Crash Corrigan as the titular ape). The limited budget is obvious but the wild plot and deliciously slimy Carrol Naish more than makes up for any production shortcomings. When Naish tries to woo a pretty young gal and her father lets the unwanted suitor know he ain't welcome, the spurned scientist-type injects the dad with acromegaly (Google time!). 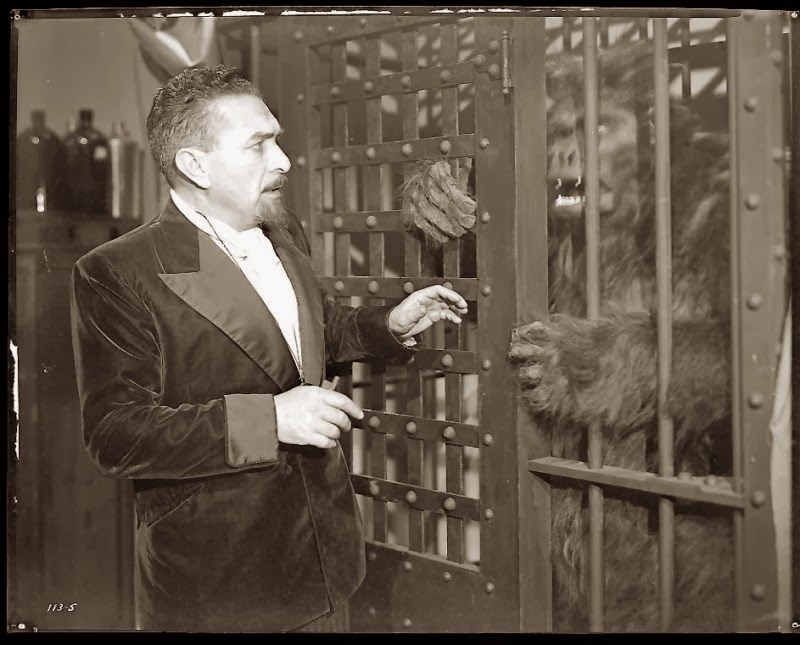 Every research lab wouldn't be complete without a savage simian in the corner and Naish deploys his angry ape to dispose of a disgruntled employee late in the film. The film is a great Halloween flick that would bear multiple viewings - even without a crazed Corrigan going maw to paw with Ace the Wonder Dog.